Beautiful! here's to hoping this is my lucky week! I would love to win these! There are a few of my favorites in there! These are lovely! Yes, please! Wow! Good looking set of books. Count me in. And thanks for the chance. This is such an wonderful collection of books. Thank you for the chance. Another great group. Thanks for doing this!! Looks great. Sign me up, please. Amazing collection, thanks for the chance! What a wonderful collection of old books. Thanks for the opportunity to have them in my home. I would love to have these thanks for the chance! These books are magnificent! They would be a lovely addition to my collection. Fingers crossed. What an eclectic collection these make! 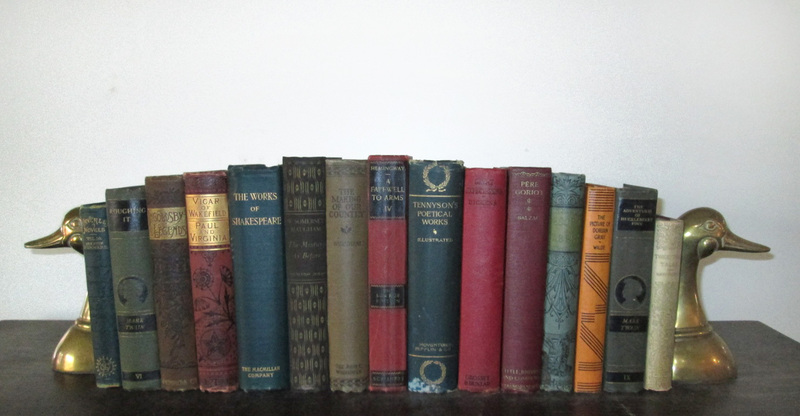 I love old books and this is a nice collection!